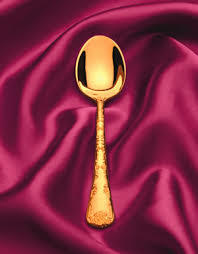 Golden Spoon Awards were recently announced by Florida Trend Magazine. Three St. Augustine Restaurants are recipients of this award for 2010. I enjoy eating. I assume there are many foodies among us. Having lived in many wonderful places with great restaurants, I am happy to report that tiny St. Augustine, Florida has received 3 Golden Spoon Awards from Florida Trend Magazine. This is a big deal. Let me put this in perspective. Only 36 restaurants of the thousands of restaurants in Florida received this award in 2010. Only Orlando, Florida received more than St. Augustine at five. Orlando's population is roughly 230,000 with over 2,000,000 in the Orlando metropolitan area. Orlando is Florida's largest city. Meanwhile, St. Augustine's population is roughly 12,000. Yes, St. Augustine is a small town, but it is also a tourist destination, as it is our nation's oldest city---please come visit. Tourists demand great food as do us locals! The 2010 recipients of Florida Trend's Golden Spoon awards in St. Augustine are 95 Cordova, The Tasting Room, and Opus 39. These 3 restaurants are all within walking distance of each other in downtown historic St. Augustine. Some come visit and enjoy great eating! Opus 39 and The Tasting Room are owned by the same people, Christine & Michael McMillan. Chef Michael McMillan is a graduate of the Culinary Institute of America. This is really a wonderful testament to what this great couple has brought to our small town. Yes, I have eaten at all three restaurants. Please visit their websites by clicking on their logos for more details. They serve some of the best food in the best atmosphere in one of the most charming, romantic towns you'll ever visit (or live in! ).